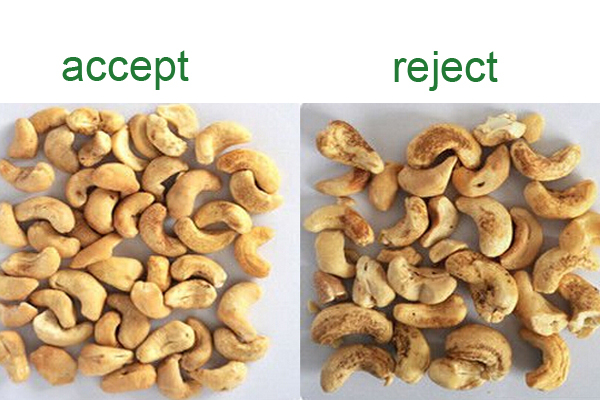 ZHONGKE belt type Cashew Nuts Sorting Machine deliverinng maximum quality and meeting stringent food safety requirements.ZHONGKE optical sorting technology sorter cashew nuts from a variety of different grades and stages:whole,split,chopped or diced,raw or roasted.The ZHONGKE belt type Cashew Nuts Sorting Machine series can efficiently remove typical defects such as testa,cahews with subtle discolorations or dark spots,sticks,stones and shell as well as challenging defects such as rotten pieces in diced or chopped cashews. 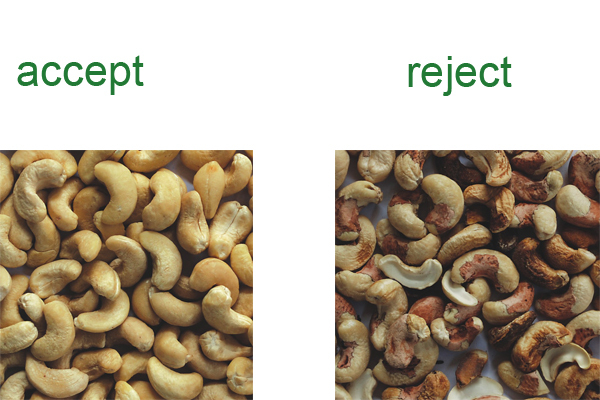 It can well remove black colored,black spotted,yewllowish cashew,and foreign material etc. from its raw material and creat added value for you. 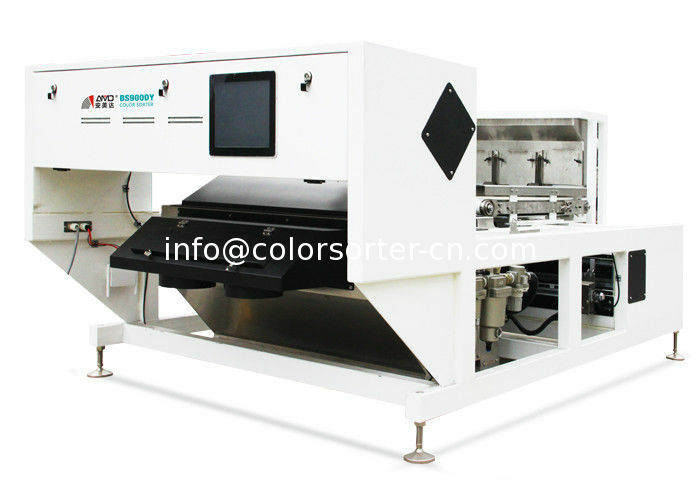 CCD Color Sorter for seafood, belt color sorting machine sort by color and shape. China Good Quality Supplier. Copyright © 2016 - 2019 colorsorter-cn.com. All Rights Reserved.